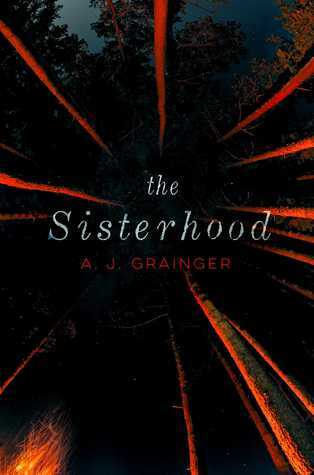 The Sisterhood by A.J. 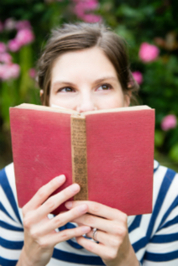 Grainger is a young adult mystery/thriller that takes a reader into the world of a cult. With a dark and stormy night starting this one off it certainly set the chilling atmosphere right away. Sixteen year old Lil hasn’t given up on finding her sister, Mella, who disappeared four months ago. Every day she makes new posts hoping that Mella will somehow see and know she is loved and missed but it seems everyone else has given up hope of her return. When Lil goes out with her bike she never expects to end up crashing when she comes across a young girl lying in the road. After her own fall her phone is broken so when Lil finds the girl is alive and awake she takes her back to her own home where she finds that the young girl seems to know of Mella. The story in this one follows Lil in the present during the chapters but between each gives a brief glimpse into the cult and their world. As I mentioned this had a great dark and creepy vibe to it to get the reader into the mood for the mystery. I did find however that things did seem to move at a really slow pace without much action. I’m not sure if maybe the author should have gone for more of the cult point of view or simply having more happen with Lil though, it just seemed to need a little something more. Overall though I’d give this one 3 1/2 stars and didn’t find it a bad read in the end. This one did great pulling you into the creepy vibe but then just kind of stalled out for a bit in the middle. I think it honestly needed more balance to each sister’s POV instead of only glimpses to the cult.